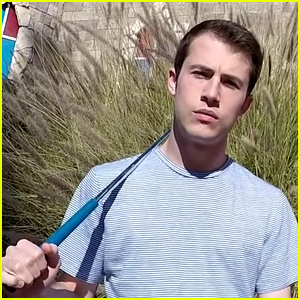 Dylan Minnette Photos, News, and Videos | Just Jared Jr.
Wallows‘ new music video for “Scrawny” is out now, and you can watch it right here! 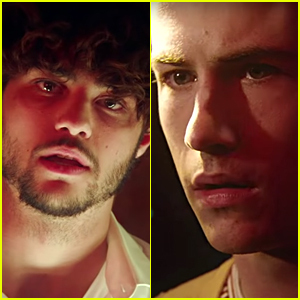 The alt-rock band – aka Dylan Minnette, Braeden Lemasters, and Cole Preston – dropped the visual on Friday (March 22). 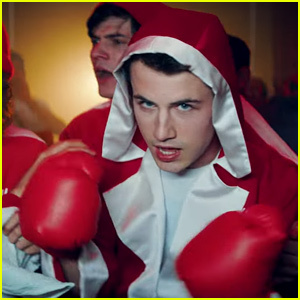 The video, directed by Dillon Dowdell, portrays the track’s simultaneous self-deprecation and overconfidence as Dylan takes on a much larger opponent in the boxing ring, cheered on by bandmates and cornermen Braeden and Cole. That same day, the guys also released their debut album Nothing Happens! The experimental album captures the chaotic emotions that accompany growing up – the vulnerability, fear, and loss, but also the excitement and underlying hope. Next month, Wallows will embark on their biggest tour to date, kicking off with their debut performance at Coachella on April 13. For more information on tickets, visit wallowsmusic.com. Watch the “Scrawny” video and listen to the album below! You can also download Nothing Happens on iTunes. Dylan Minnette's Band Wallows Drop Self-Directed 'Sidelines' Lyric Video - Watch Now! Wallows have released their lyric video for their new track “Sidelines,” which they directed and shot themselves! The rock band – aka 13 Reasons Why‘s Dylan Minnette, T@gged‘s Braeden Lemasters, and Cole Preston – shared the visual with fans on Friday (March 8). 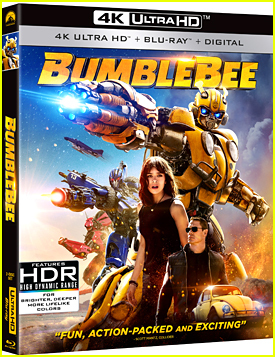 Filmed at Los Angeles’ Castle Park, it shows the guys as they make their way through a mini-golf course, reflecting on the heartbreak and uncertainty that accompany the ending of a relationship. 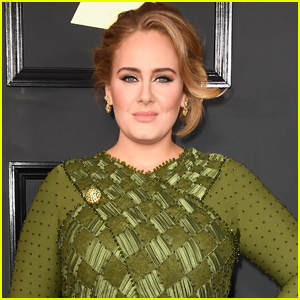 “’Sidelines’ has been a song that has meant a lot to us from the start of recording this album, and we are very excited to put it out into the world,” they said in a statement. The song will be featured on Wallows‘ debut album Nothing Happens, available on March 22. Listen to “Sidelines” and watch the lyric video below! You can also download it on iTunes. 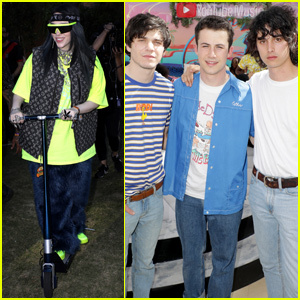 Noah Centineo Stars in Dylan Minnette's Band Wallows' 'Are You Bored Yet?' Music Video - Watch Now! Noah Centineo and Dylan Minnette are in a music video together! “Are You Bored Yet?” is the lead single off Wallows‘ – aka Dylan, Braeden Lemasters, and Cole Preston‘s – 11-track debut album, Nothing Happens, set for release on March 22. 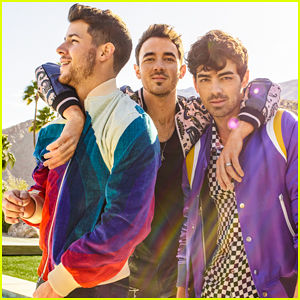 Following the album release, the guys will kick off their Nothing Happens World Tour with their Coachella debut on April 13. The video also features Brian Jones of Vampire Weekend. Watch below! You can also pre-order Nothing Happens on iTunes. Genevieve Hannelius holds a hot drink in her hand after a workout class in Los Angeles on Thursday afternoon (January 17). 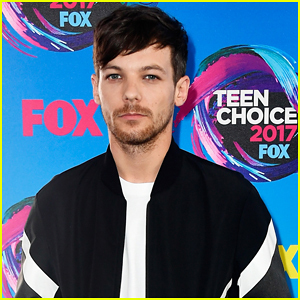 The 20-year-old actress hit up the workout class with longtime friend, Sammi Hanratty, and while heading back to their cars, they ran into Dylan Minnette and another friend. If you recall, Sammi and Genevieve both guest starred on Disney Channel shows when they were very young. Genevieve is most known for her roles on Sonny with a Chance and Good Luck Charlie, before booking Dog with a Blog; while Sammi popped up multiple times over The Suite Life of Zack and Cody. This seems like the only 13 Reasons Why news we’ve had in months, because, well…it is. 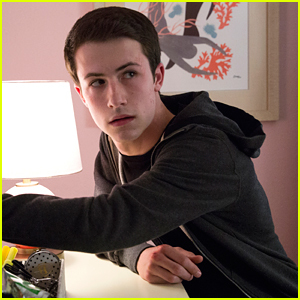 However, Dylan Minnette is telling fans that season three of the hit Netflix show isn’t one to be missed. Taking to Twitter as the cast heads into filming the final episodes of the upcoming season, Dylan shared that the scripts for those episodes are some of the best. “I gotta say some of these last few scripts of season 3 are the show’s best,” he wrote, hyping up the new season. Dylan is one of the original stars returning for the upcoming season, along with Ross Butler, Devin Druid, Justin Prentice, Alisha Boe, Brandon Flynn, Miles Heizer, and more. 13 Reasons Why is expected to return to Netflix later this year.